Ida Laverne McFadden obituary. Carnes Funeral Home. Jun 17, 2012 The Carnes Funeral Home Staff offers our sincerest condolences to the entire McFadden family. It was our honor to serve your family. Our beloved mother, Ida Laverne McFadden, was called home to heaven to be with her Lord on Sunday, June 26, 2011. She was reunited with open arms by her parents, Willie & Grace Green; brothers, Cecil and Marion Green; sisters, Bobbie Thompson, Opal Strange, and Marie Green; daughter in law, Shirley Barringer; grandsons, Bryan Thomas, and Kris Stow. She was born on April 29, 1938 in LaSalle, Texas and grew up in Bacliff, Texas. 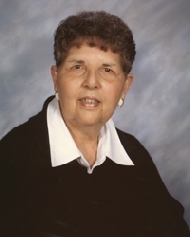 She graduated from Dickinson High School in 1956. She is survived by her children: son, John Barringer; daughter, Debbie Thomas and son in law, Robert Thomas; daughter, Lori Lala and son in law, Barry Lala; son, Willie Barringer and daughter in law, Kimberly Barringer; and daughter, Missy Brown and son in law, Paul Brown. Grandchildren: Trey Barringer, Hollie McMillan, William Capak, Scott Gilmour, Garrett and Colleen Stanley, Erin Stow, Carrie, Christy, Hunter, and Justin Lala, Jacob Pearson, Michaela and Natalie Barringer, Brooke Brown , four great grandchildren; and many cousins, nieces, nephews, and friends. There are not enough words to describe her loving and caring character. There are millions of stories we could share. She has touched so many lives with her kind heart and beaming smile. She was exuberant in her expression of her love for the Lord; she loved to sing in church. Her children and grandchildren were her life and everyone loved her. She had a very nurturing spirit and even through her illness; she was upbeat, acting silly, and comforting her children during the last days of her life. We are going to miss her dearly; however, we have the memories and a special place in our heart that is forever hers. A memorial service will be held on Saturday, July 2, 2011 at 1:00 PM at Carnes Funeral Home, 3100 Gulf Freeway, Texas City, TX 77591.